How to put pieces together without being puzzled? 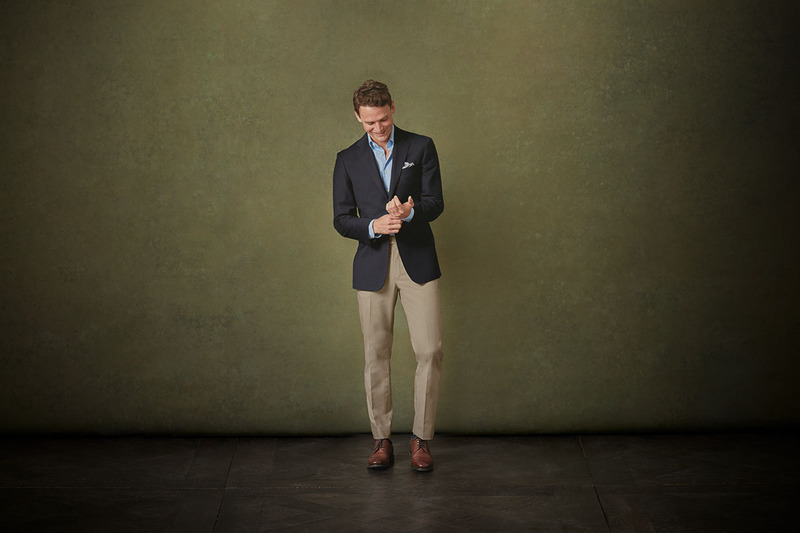 Shirt, trousers, and blazer: make sure each piece has its place and fits well. Then, with some attention to color coordination, you can mix and match, dress it up or down. And remember: nothing beats a classic. There isn't a more classic smart-casual combo than this, and we can now say there isn't a better version than ours. 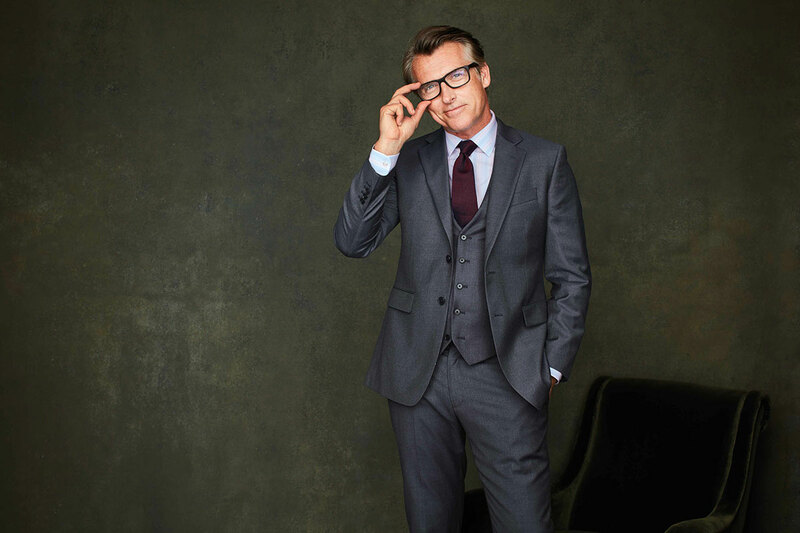 Shirt and trousers are non-iron, so you’ll be crease-free, while Tyrwhitt’s legendary Perfect Blazer is the most versatile sprucing up piece you’ll ever own. 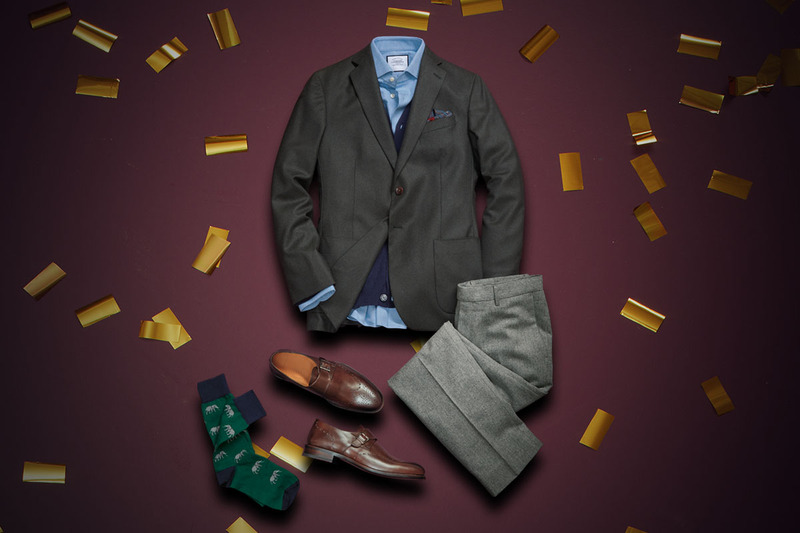 We then accessorize it the Tyrwhitt way: a dashing pocket square and buttery-leather brogues. Let the elegance of flannel set the tone of your autumnal look. Introduce green to your edit with our Italian Wool Flannel Jacket to finish the grey flannel pants and sky blue shirt look. Our Monk Brogue Shoes in Chocolate will add richness to the look, while the Italian Silk Pocket Square in paisley will take care of the color dash that is oh-so-Tyrwhitt. Jacquard knits have the feel of the season without the cheese of a Christmas sweater. 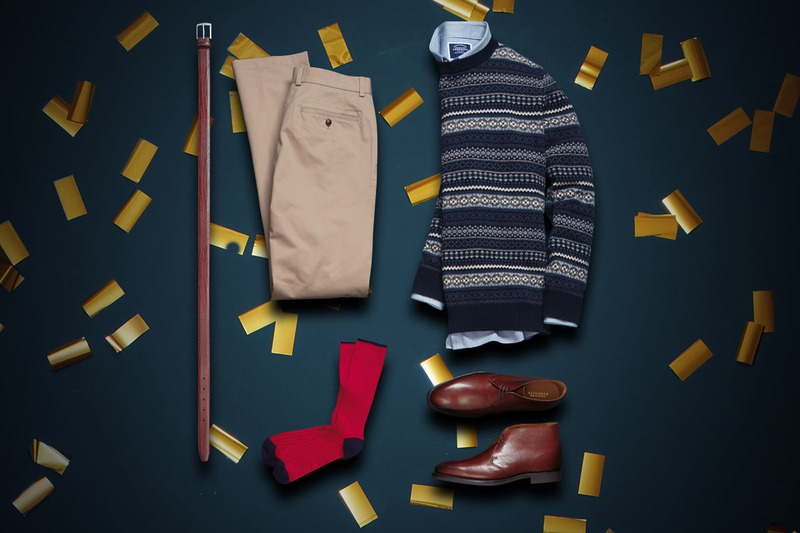 To take this timeless wintery look to sleek new grounds, sport it with our streamlined, utterly comfortable stretch chinos, a no-nonsense Oxford shirt, and then let our Goodyear welted leather Chukka Boots be the cherry at the bottom. 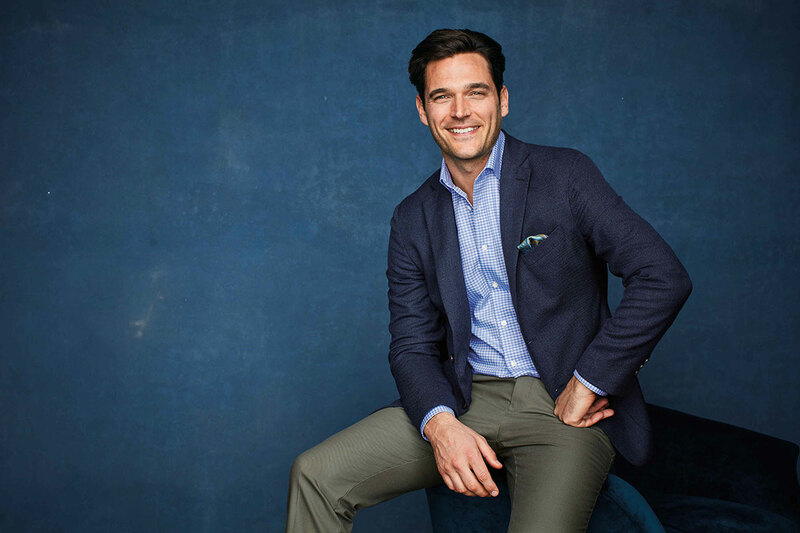 Here we have yet another example: start with a navy blazer and you can’t go far wrong. Choose any shirt you fancy, unfasten a button or two, and plump for trousers that enliven the ensemble. The pocket square is the cherry on top. SUITED GENTS WE SALUTE YOU! Just because the skies are getting darker, doesn’t mean your attire has to follow suit. This pale pink and blue stripe shirt looks tip-top when offset with a charcoal suit and autumnal tie.